What Are The Best OTC And Natural Alternatives To Baclofen? Baclofen is a medication often prescribed to treat spasticity. It is also used as a muscle relaxant and antispasmodic drug to treat spinal cord injuries, cerebral palsy and multiple sclerosis. The use of this medication may result in a high or relaxed kind of feeling, which can also lead to its abuse or Baclofen addiction. Even when it is taken precisely as prescribed, it is easy for a patient to experience a withdrawal when they finally try to decrease the intake of the medication. Symptoms of Baclofen withdrawal can be severe, and Baclofen alternatives can be a solid choice to wean off of the drug. 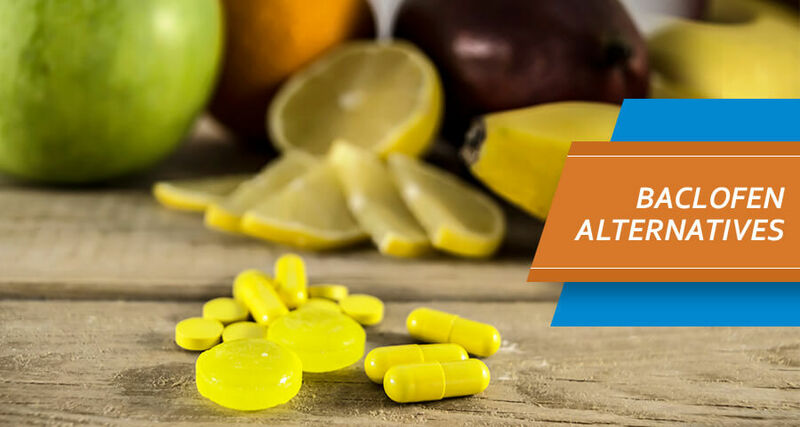 This article lists some of the over the counter options as well as natural alternatives to Baclofen that can be used instead of it. 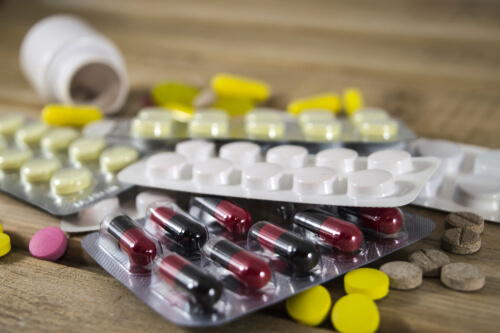 What are the Differences Between Baclofen and Other Muscle Relaxants? What Treatment Option is Ideal for Muscle Spasticity Management? What Are Some Over the Counter Alternatives to Baclofen? Are there any Natural Substitutes to Baclofen? How to Choose the Best Treatment Option? Are there Any Differences Between Muscle Relaxants? There are many options available that can be used instead of Baclofen (Lioresal). However, all of them have their own pros and cons. An option that is easy on the pocket and comparatively less sedating too is Methocarbamol. Methocarbamol has been studied for use in back pain, and results show it can result in complete pain relief. It can be a reliable alternative if you’re trying to figure out between Methocarbamol vs. Baclofen. 10 mg of Cyclobenzaprine (Flexeril) three times a day has been reported to be quite effective. It causes drowsiness, which isn’t acceptable especially during the day. Flexeril vs. Baclofen is a more expensive option and should also be avoided if you’re looking for a non-sedating analog. Robaxin is also a prescribed muscle relaxant, but like Baclofen, it often causes drowsiness and dizziness. Baclofen is a better option for spasticity and spinal cord diseases while Robaxin is used mostly for muscle spasm issues. Both medications can be dangerous when used in combination with other drugs or substances such as narcotics. Both Phenibut and Baclofen are derived from GABA, but Baclofen is often prescribed for muscle spasticity and phenibut for anxiety. Phenibut can easily become an addictive substance while Baclofen is quite difficult to become addicted to this drug. Also known as Carisoprodol, Soma much like Xanax has the potential for being abused and therefore should be stopped if there is a concern or a patient’s predisposition to substance abuse. Choosing Baclofen 20 mg over Soma is normal as Soma offers greater side effects than Baclofen. Also, avoid using Soma in people over 65 and always go for better options if available. Even if prescribed, use only for two to three weeks as prolonged use has no evidence of showing effectiveness. Also known as Tizanidine, Zanaflex is used for spasticity in patients that have multiple sclerosis or cerebral palsy. The Tizanidine vs. Baclofen 10 pill comparison shows us that the latter has fewer side effects compared to Lioresal, but the same level of effectiveness. However, it is not a first line choice for back muscle pain or acute neck pain. Lioresal is effective, but it also has a number of side effects. Up to 20% of people using it report that Baclofen cause drowsiness. It isn’t the best option for neck and back muscle pain so a Baclofen alternative with fewer side effects should be a better option for some. What is the Best Medication for Spasticity Management? Lioresal is a popular and first choice treatment for muscle spasticity caused by spinal cord injuries or multiple sclerosis. Baclofen 10 mg price is quite low, and it starts from $1 per pill. However, it is not recommended for other types of muscle spasms. Apart from the specific muscle spasms caused by brain injury or multiple sclerosis, Lioresal is not the best medicine to take. There are many alternatives available to Baclofen, but all of them treat only a specific type of muscle pain. Neurontin is good for tingling and burning nerve pain. Tegretol or Carbamazepine is better suited for the treatment of seizures and epilepsy. Valium, also known as Diazepam is a relaxant that helps relieve anxiety and muscle spasms. Zanaflex or Tizanidine is another treatment for muscle spasticity but not recommended as the first choice. The point is that there isn’t one medicine or drug that can be labeled as the best replacement or Baclofen alternative. Depending on the nature and type of muscle pain as well as the history of the patient, the best Baclofen alternative will vary. Some of the most popular options, however, have been mentioned. Lioresal medication is usually administered through the help of an injection into the spinal cord. Snorting Baclofen powder may lead to the abuse of the drug, and therefore, it is not recommended. Baclofen over the counter alternatives can also be used as therapy for muscle spasms caused by acute lower back pain, tension headaches, or other similar conditions in different patients. 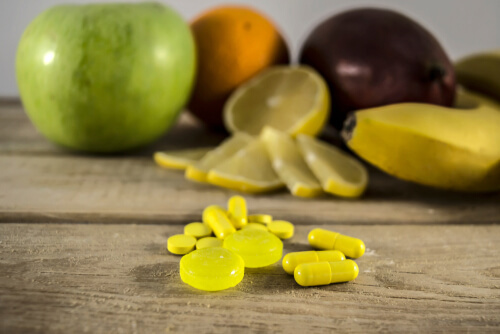 Over the counter means that this medicine can be bought without a prescription, unlike Baclofen, which should be tried before you look towards prescription medications. Nonsteroidal anti-inflammatory drugs (NSAIDs) are one over the counter choice that can be used to treat muscle spasms and pain. Examples include Ibuprofen and Naproxen. Acetaminophen is another Baclofen OTC alternative that works well to help relieve muscle pain. Are there Any Natural Substitutes to Baclofen Available? Lioresal might be the only option for some people in several health conditions. However, it can be challenging to get off the drug if one has been using it for a certain period. If possible, physical activity has been reported to be an effective alternative to relieving muscle spasms and pain. Swimming and other activities can generate beneficial results and reduce the need for prescription drugs. What is the Best Baclofen Alternative? Some injuries and conditions can leave the use of Lioresal unavoidable. It helps to alleviate spasticity and relaxes the muscles, but its side effects make it a drug that should be avoided if possible. Getting off the drug even after prescribed use can be difficult. The alternatives mentioned above can be effective alternatives depending on the type of pain as well as the patient. Also, it is necessary for a patient to keep an eye on dangerous Baclofen drug interactions. For example, Tramadol is a useful pain-relieving medication used for back pain and other nerve-related pains. However, Baclofen and Tramadol together may cause nausea and sedation. Extended use may lead to chemical dependence. In any case, it is better to listen to a professional opinion and go deep into details before making a move. Caution should be exercised during the treatment process if Lioresal has been prescribed to ensure the drug isn’t abused and withdrawal can be avoided. Professional rehab recovery can be of great help in both cases and can help those addicted as well as weaning off the drug for good. If you or your loved one has been suffering from a Baclofen addiction, do not hesitate in giving us a call at our toll-free number (888)-459-5511 and get in touch with one of our professional health specialists. Addiction Resource » Addictive Substances: The Anatomy of Drug Addiction » Is Baclofen Addictive or Treatment For Alcohol and Drug Addiction? » What Are The Best OTC And Natural Alternatives To Baclofen?